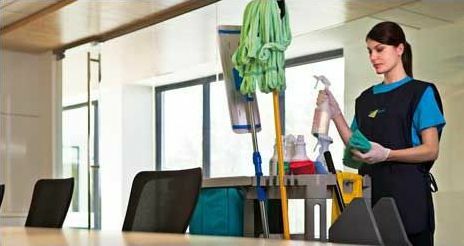 TrustedCleaner has eliminated the frustrating legwork and found the very best Melbourne office cleaning companies for you. Our short-list will help you find the right cleaner for your office (and save you time and money). Compare and contrast local services all at the touch of a button. Save time and money, not to mention effort. The following office cleaning companies in Melbourne haven’t been verified by TrustedCleaner. Glass care, floor care and carpet care cover just a few of the office services provided by the Action Cleaning Group over the last 20 years. Available for 24/7 scheduling, Action Cleaning Group takes pride in knowing they can meet the timing needs of any task. For those interested, ACG offers “GREEN CLEANING” using environmentally safe and non-toxic chemicals for their procedures. Taking on any project large or small, Inner City Cleaning uses a fully-certified, police background checked, commercial cleaning staff. All hires come with a total service and satisfaction guarantee, to go along with a cost-effective cleaning plan. Previous customer testimonials are available through their website. Call to discuss pricing options. Thirty years of office cleaning experience have helped Aus Green to become a reliable source for Melbourne offices in need of a good scrub. Prior to starting a job, Aus Green sits down with every client—old or new—to iron out a specific, plan of attack for each cleaning contract. Aus Green also offers full carpet and window cleaning for clients in need of a multi-faceted commercial cleaner. Despite only being in business for three years, Sonic Cleaning has the confidence to provide a 100% satisfaction guarantee to its customers. Sonic uses a customer-complete questionnaire to guide their office cleaning processes, making certain they hit the most vital areas in the eyes of the client. All work is secured with a public liability insurance policy. Fully trained and certified staff are used by GSR to provide fast, reliable service to commercial entities in the Melbourne region. Numerous testimonials from former customers are available for review online at the GSR website, but all requests for job estimates and quotes should be placed over the phone. Also interested in cleaner for your home? We have a number of highly rated home cleaners in Melbourne. Office cleaners are also available in Sydney, Brisbane and the Gold Coast.